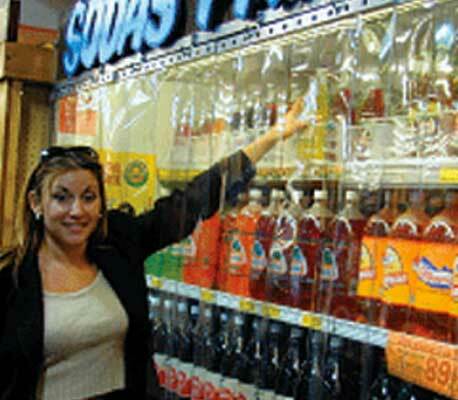 Grocery stores have a variety of protective equipment that is used throughout the store every day. Here is some of the protective equipment used by grocery stores and why. Why do grocery stores need protective equipment? There are many different departments in a grocery store like the deli, the bakery or the produce section. People visit them on a daily basis and never think about all of the protective equipment used for a variety of reasons. Protective equipment is used to keep food safe by keeping it fresh and keeping out contaminants. Some of the equipment they have saves money on energy bills and staffing. It also protects customers. What are the features and benefits of grocery equipment? Each piece of equipment has its own unique features and benefits. For example, there is equipment that helps a worker retrieve buggies from the lot. This saves time and keeps customers happy due to no shortage of buggies. As stated before, some equipment saves energy, which saves the owner money and keeps them happy. This also keeps store pricing down which keeps the customer happy. Where is the protective equipment used? Protective equipment is used throughout the entire store, from the entry way to the very back. The meat department has protective equipment to keep contamination down and safety equipment for the employees. There is protective equipment in each freezer and cooler that you see which saves energy and also protects from contaminants. What are different types of grocery equipment? Fly traps are used as an extra precautionary measure in the event fruit flies enter. This doesn’t happen often as the produce departments change out the fruit often to avoid this. The fly traps are also placed in areas in case flies enter the store through the doorway. This isn’t likely because of the type of doorway but is just an extra precaution. Bakery rack covers are used in the bakery department to put over the bakery racks. This keeps the freshly baked food inside fresh and also protects against contamination. This adds extra protection for keeping the heat in, as well. Air curtain fly fans are in doorways going back into the bakery or area where meat is cut. It keeps cool air in which saves on energy and keeps bugs, dust and any other debris out. These fans work by shooting a stream of cool air across the doorway opening to create a seal. Walk through screens are typically found in entryways to grocery stores. When you enter a store and feel a burst of cool air, that is the walk through screen. It keeps the store at a comfortable temperature while protecting store items from outside elements. Grocery stores need and are required to have many forms of protective equipment. This comes out in the owners favor, however, because most of this equipment saves them money and keeps the customers happy.